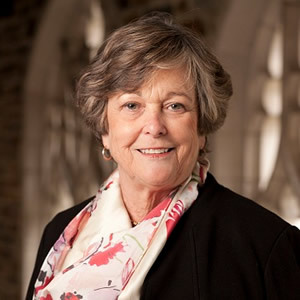 Mary Brown Bullock is President Emerita of Agnes Scott College, an independent, national liberal arts college for women. From 1988 to 1995, Dr. Bullock presided as director of the Asia Program at The Woodrow Wilson International Center for Scholars in Washington, D.C., and simultaneously was a professorial lecturer at The Johns Hopkins University School for Advanced International Studies (SAIS). Earlier she was director (1977-88) and professional associate (1973- 77) of the Committee on Scholarly Communications with the People’s Republic of China (sponsored by the American Council of Learned Societies, Social Science Research Council and National Academy of Sciences). Dr. Bullock earned her Ph.D. in Chinese History at Stanford University.